It can be used in the workplace and by corporate professionals writing business reports and documentation. Pros: Context - I have a learning disability that impacts my english skills when it comes to writing. My employer hired a writing coach, and the sessions resulted in breaking bad habits. However, I have difficulties with the aspects of English grammar and rules. 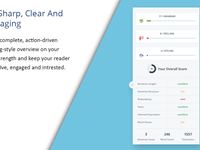 Product - I have been using is for several years, where I am able to reduce the time to craft, and produce reports with confidence. By using it exclusively enabled me to reduce the number of errors, and able to rearrange my thoughts with clarity. Even though I have gain confidence in the written communication, I will always use WhiteSmoke since there has been a need to get the work done in a quicker manner. Cons: Sometimes in mac IOS, the software crashes, but it is not a big problem. Overall: I have been able to improve my reputation in the organization, especially in the days of reorganization, and this helps me maintain my stature, high reputation. 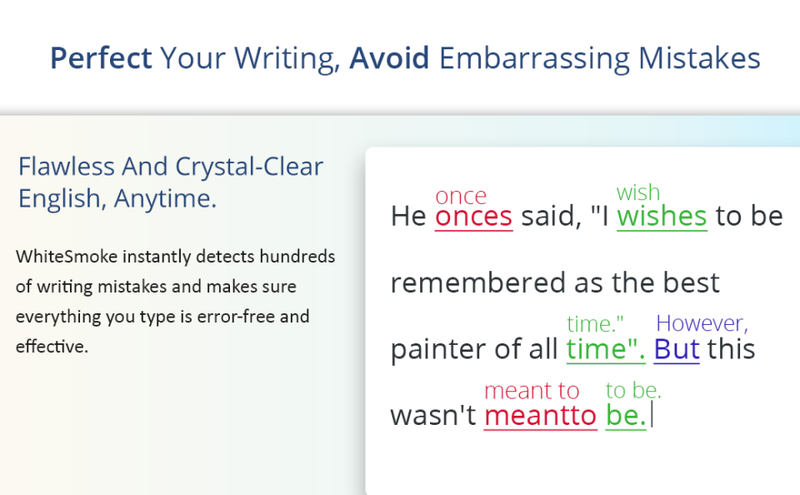 Pros: The most salient feature of WhiteSmoke is a spell check. It's confusing sometimes because it does not always show correctly subject and verb agreement. It's time-consuming, trying to see what's wrong when there's nothing wrong. Cons: The program will often stop in the middle of reviewing, which is also exasperating. It may be something I am not doing, but I must "call up" the program, using f2, rather than have it visible and available whenever I need it. If you could provide information about that, I'd appreciate it. Overall: Overall, it's a good program, but I believe it could be better if you give it a few more tweaks. As I noted above, it will often show errors that aren't there. There also seems to be a problem identifying tenses. Pros: My major use of WhiteSmoke is a quick check of emails. I do not regularily prepare lengthy documents, but I do like that I can highlight my writing and do a quick Fn F2 check. I strive for an 8 or better. :) I did a check of this writing. Cons: Contacting a service tech when I have an issue. When I have a need, I look for an immediate resolution, and hate waiting hours, or days. As a service organization, we rely on prompt service. Overall: Customer relations and appearance. 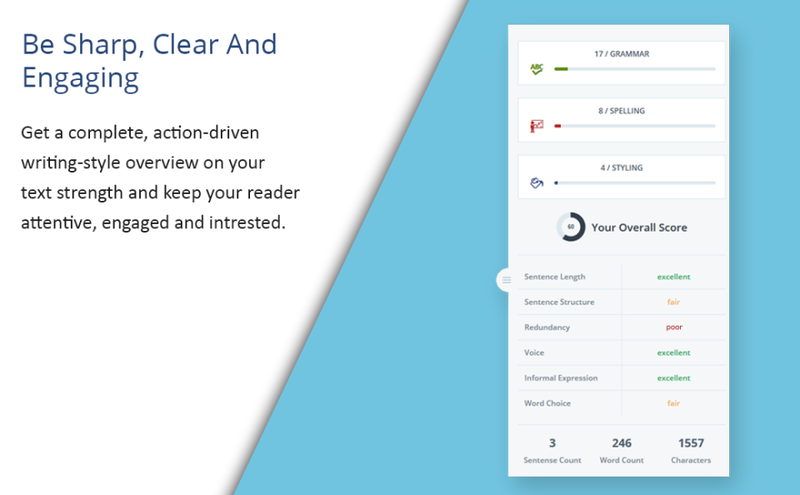 Pros: The functionality of the software, which allows you to check on your overall grammar:subject verb agreement, readability of our document and the quick response to your grammar checks. Cons: It is hard to pinpoint anything that I don't like, because it fills my need by enabling me to check a document as I write, also it allows me to the opportunity to accept certain changes that make the document correct and well as its readability. Overall: I would totally be a loss without WhiteSmoke. Even when I'm not using it strictly professional. I use it to make sure that my casual writing is up-to-par. Pros: I like how it is integrated into Outlook. Emails are completed so fast that you sometimes forget to proof. WS reminds you as you hit send. Cons: That I can not integrate it into my apps as a do on my PC. After five years with White Smoke. Pros: I like knowing 95% of the time White Smoke finds and corrects my spelling errors. Cons: It doesn't do a good job of catching the grammatical errors. It also often doubles and triples line of text. Other times it deletes items. It is madding when you have an email only to have White Smoke "bastardize" it so much with it duplication or it deletions that it doesn't look anything like your email at all. On occation it delete my entire email or word document. I have not found another product I like better but I do look .... 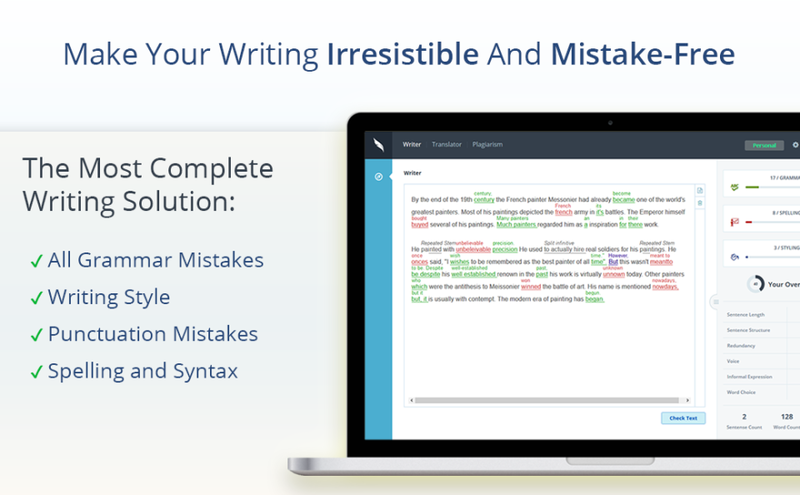 Even after five years using it I would jump in a heartbeat if I found one that I didn't have the grammer problems, and the duplication and deletion issues. 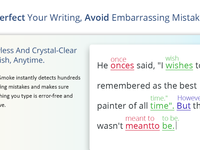 Pros: WhiteSmoke found punctuation and mistakes in spelling I made that other spell checkers did not. It gave helpful suggestions on other words to use and pointed out when I used the same word too many times. It also rated my paragraphs. I was not only helpful but made me think. Cons: It would have saved some time when checking a manuscript if the program would have ignored the paragraphs that did not need to be fixed. Overall: I am an author and I would not turn in my manuscript without a WhiteSmoke check. Pros: It is a quick way to spot mistakes I have made in sending messages. Cons: Support is slow in responding to my requests.